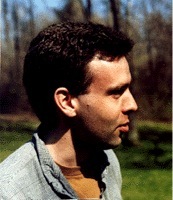 The Gregory T. Pope '80 Prize for Science Writing was established by the class of 1980 in remembrance of their classmate Gregory Pope, who was a science writer and editor. The award is granted to a senior who has shown a keen interest in science and demonstrated an outstanding ability to communicate that enthusiasm to a wide audience through journalism. Gregory Thurston Pope died in New York City on May 12, 1996 of a ruptured brain aneurysm. He was a science writer and the editor of Discover Magazine's Internet Site. Gregory was born in Oxford, England on August 2, 1959 to Ann and Michael Pope, and with his parents came to Washington in 1962. With the exception of a year in Vienna, Austria, he attended public elementary school in Washington and graduated with honors from St. Albans School in 1976. His interests and ability in writing were apparent at a very early age, and he was editor of the school newspaper in his senior year. He received a B.A. in Biology from Princeton University in 1980, and then moved to New York where he was to spend the rest of his life. He began his career as Assistant Production Editor of Garland Publishing and from 1982-87 was a publications staff writer for the law firm of Skadden, Arps, Slate, Meagher & Flom. At this time he also attended New York University and in 1986 obtained an M.A. in Journalism with a Certificate in Science and Environmental Reporting. He was awarded an internship with the New York Times. Subsequently, he was a free-lance writer and author; he published feature and cover articles for magazines such as Omni, Discover, Popular Mechanics, and Science World. He was Senior Editor of High Technology Business in 1988-89. Associated with Popular Mechanics since 1987, initially as a free-lance feature writer and editor of "Tech Update," he became the Science and Technology Editor in 1993, a post he held until November 1995 when he moved to Discover. A man with wide interests and an acute sense of the comic and the absurd, he was a passionate animal (and insect) lover, and a loyal friend. All seniors are welcome to apply by sending 1-3 submissions via the online form. Applicants may submit original work in any format, but each submission may not exceed 3,000 words. Faculty are welcome to nominate students by sending an email to Joe Capizzi. A committee consisting of Council members and science writers select the winning essay. Award is presented on Class Day. Please login using your Princeton University NetId to access the application. For questions regarding this application or for further information, please contact Joseph Capizzi.